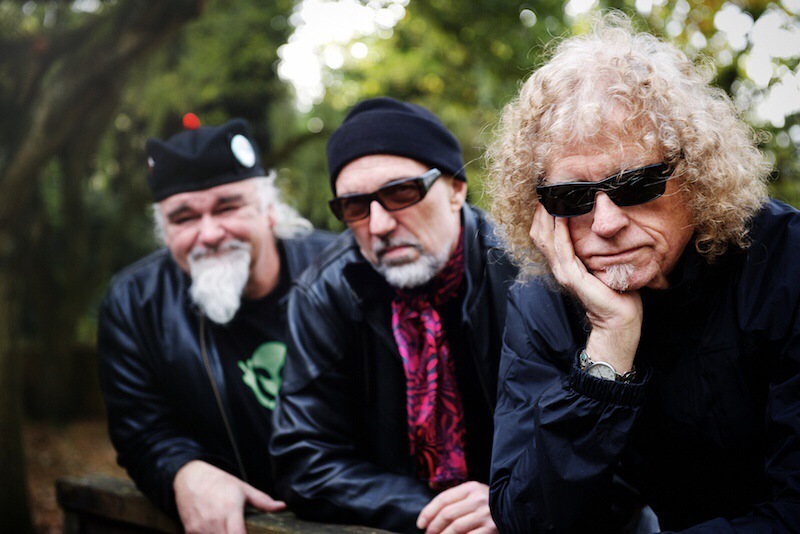 The Magic Band are now touring the UK and are playing a date in Germany see their site for links to buy tickets. If you’re lucky enough to attend any of the dates please post a review, however short, in the comments below. Usual very high standard at Leamington with an incendiary version of Owe’d t’ Alex seared into my memory. Come back soon, please ! The Magic Band lived up to their name by producing something magical at the Cluny in Newcastle tonight.True to Beefheart’s original compositions, but confident enough to elaborate on them at times, they are a fine night out for a fan of some of the greatest music ever created. I hope they are all exercising regularly, eating their greens and taking their vitamins in order to keep returning to our city for many a year yet.A fantastic gig. Saw them last night at Band On The Wall in Manchester and they were really good. Rockette Morton was playing a brand new bass for the first time and the one he’s used on the last few tours was on sale for £400 – not sure if anyone bought it though. I took some photos and will post them and the setlist on flickr over the weekend…. Can anyone post setlists from this tour ? I am totally deaf now so am going to Bristol just to feel the bass/drums and lipread drumbo. So having the setlists will enable me to have the lyrics ready to assist with the lipreading. Can anyone also give a sense of how well attended the gigs have been ? As a number have been in new territory, I am hoping they were attended well enough to make future tours a possibility. Believe it or not i have a friend whose favorite CB song is Pachuco, so now hes even more fired up ! On the Manchester setlist you can see that there were 3 songs written down for the encore but they only had time to play one, which was “Circumstances”. I’m not sure if they play the same set every night…. yes thanks jake. i read your comment at the side and took that on board. no ‘moonlight’ and a few others also, so plenty room for changes…but i hope they stay with this list as it has so much that is new/rare. Isis magazine are advertising a Live CD called Capt Beefheart “Full moon in Cowtown”, a KUDL-FM radio broadcast from 22nd April `1974. Does anyone have any opinions of this? Fantastic night at Colchester Arts Centre. This is the fourth time I have seen the band in recent years and one of their best improvising performances of some great classics Hair Pie bake 1, Pachuco Cadaver, Owe’d t’Alex. Absolute masters and like many I hope we see them back again. Speaking to John French afterwards he seemed to be saying it was getting harder to do the tours although he loved the Uk fans. Surprising they don’t play more gigs in the US? did he say harder in what sense ? physically, or financially, or… ? I think both to be honest. they not getting any younger…and they do tour the hard way – no big tour bus and roadies. i’ll do a more humble one of my own of bristle just for the historical record, down the line. here’s hoping more people will do so, and thus support this valuable space – facebook pages with 2 line comments just dont cut it really ! Two grey haired old guys shook hands in a dark and anonymous bar in Hertford last week. One was Rockette Morton, the other was me. Didn’t want to bombard him with a million questions, just thanked him for coming and playing up a storm. We smiled and, I guess, just acknowledged that this wonderful stuff was never going to let go of either of us this side of the grave. It’s more a feeling than a belief but I figured that what I didn’t know about The Magic Band was as valuable to me as what I did know – but, since Hertford, I’ve got myself a copy of Captain Beefheart Through The Eyes of Magic by John French…Oh Boy, What a read! Get a copy. Come back as often as you like fellas. I hope you’re making some money now. We also went to Hertford and met John, Eric and Denny at various moments. What on earth can you say to such giants of music? Especially when tanked up on alcohol and totally starstruck! So I would like to say thank you for a wonderful evening which I’m desperate to repeat in the future. We are also reading John’s book which is brilliant in our opinion. I know it is a real effort for them to come over to the UK to perform, but we appreciate it deeply. There isn’t a week gone by without us listening to Beefheart and the Magic Band since we were teenagers in the late 70s. To hear it played live by the real artists is a very exciting and slightly surreal feeling. It totally blows our minds! A lot of music gets dated, but this is just so fresh, so full of energy and so passionate that it can easily stand against anything around at the moment. I can’t believe this band exists. Didn’t know till somebody gave me a vinyl copy of the live in Oxford album for my birthday. WOW! Sure wish they would come someplace in Northern CA. Last time I saw Drumbo was with French, Frith Kaiser & Thompson. My first time seeing The Captain was October, 1967 @ Sacramento Pop Festival w/Spirit, Hourglass, Jefferson Airplane, Strawberry Alarm Clock, Sunshine Company, Nitty Gritty Dirt Band & The New Breed with Timothy Schmidt way before the Eagles. Iwas completly blown away by Captain Beefheart but the audiance hated him.My friends were dumbfounded. “You thought that was good!???? ?” For me it was a life changing experiance & went to see him as often as was possible until 1980 until I sort of lost track. Happy to see this music is being kept alive & I hope sometime to get a chance to re experiance it all again.